Sometimes something different happens, and I am sure this doesn’t happen all too often. Earlier this week I was approached by a group of people that want to show their gratitude for their boss. They asked if I would write an article about their boss Shane, and his company SMCH. And here we are, I am writing, and you are reading. Shane this one is for you, you have a great bunch of employees. This article is a credit to you and your business. 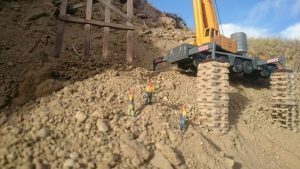 Let’s start at the beginning, Shane has 20 employees, and no one knows how he got into crane hire and fabrication. However, SMCH started it all with the introduction of the 20t Franna. After the 20t Franna introduction, they went on to produce a 25t version. It wasn’t too long, and they started to manufacture the Kato NK 300. 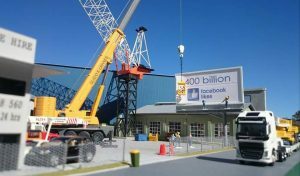 Due to business growth, the need for a yard crane became critical to the fabrication side of the business. 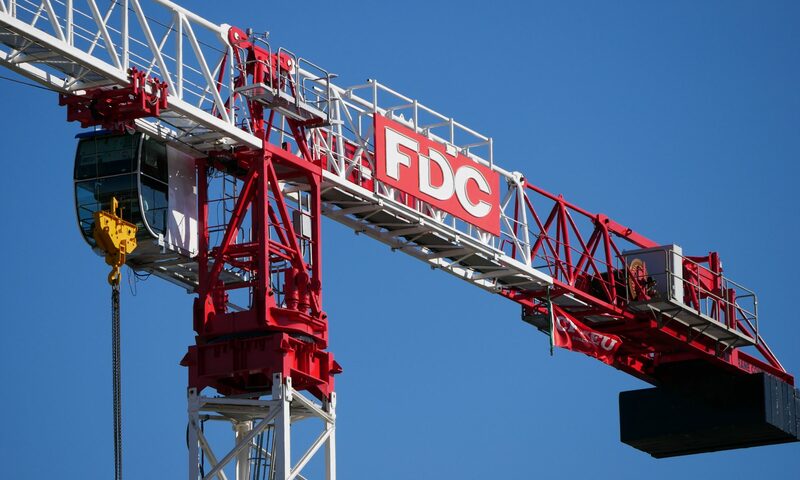 So, they built their first tower crane, the Favco STD 750. With the new yard crane, they were able to start constructing a variety of tower cranes which are now available for wet and dry hire. Getting to where SMCH is today took some large-scale capital investments, to which the guys are thankful. 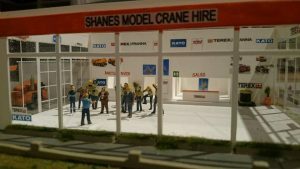 They had concerns when Shane first announced his plans to manufacture tower cranes. 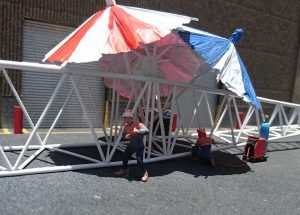 At the time, they had no welder, forklift or trucks to collect all the required parts and materials. With the continual growth that SMCH has experienced over the last few years, they have continued the well thought out capital investments. First came the purchase of a nearby hotel keeping everyone hydrated, and umbrellas to help beat the Australian summer heat. However, the guys are concerned about the umbrellas as Shane might want them to work in the rain now that they have this shelter option. Shane’s approach to safety is second to none and is evident in the way that SMCH have had no incidents in the last few years. SMCH pride themselves on how they can undertake work that other contractors might hesitate over. 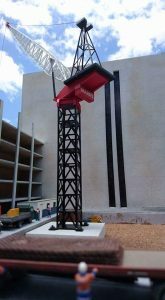 Heading into 2018, Shane’s Model Crane Hire has already secured an order for two new motorised tower cranes. According to the team, they are expecting big things for 2018. Next PostNext Asian Hercules III and Vattenfall’s EOWDC, huh?